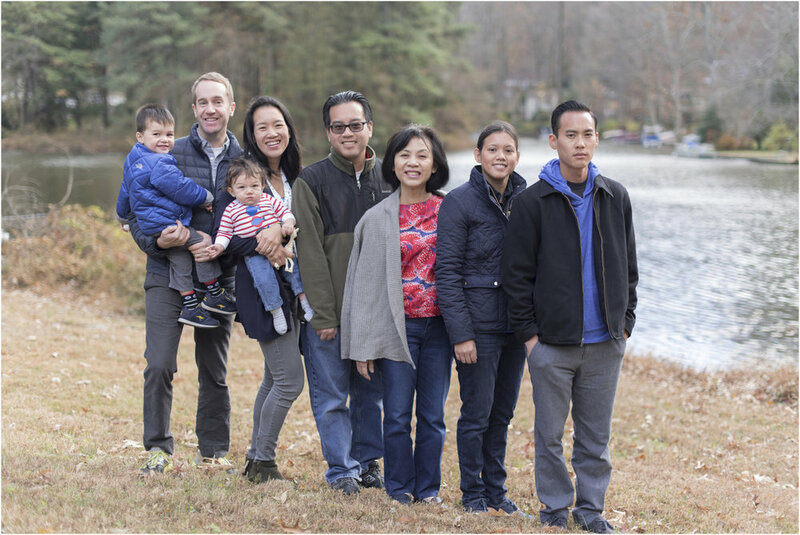 I had the pleasure of photographing my dear friend Kim and her family at their home in Lake Barcroft, Virginia. Kim and I went to high school together and were also on the swim team together. She, her husband, Jami, and their kids now live in Manhattan. It was such a treat to link up with all of them while they were back in the D.C. area. This lake has always been a special spot for me mainly because I grew up swimming for the Lake Barcroft dolphins; a motor-boatin’ team if ever there was one! At seventeen, I became a lifeguard at Lake Barcroft and worked there for the next five summers. Let me tell you; working at the lake was a pretty sweet summertime gig for a college student! With the number of paths, beaches, swing sets and colorful canoes; the lake has now become a pretty sweet location for family photo shoots! During my time photographing Kim’s family, I had the pleasure of capturing her mom in her meditation room. As a devout Buddhist, she meditates several times a day. Tagged: Northern Virginia, Washington D.C.